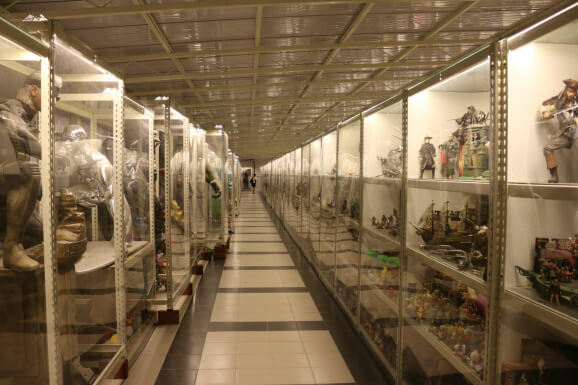 Penang Toy Museum - The World's Largest Toy Museum? The sign outside the Penang Toy Museum says "Welcome to the Largest & Costliest Toy Museum in the World". This may or may not be true but it certainly contains a massive hoard of movie and TV-related models, dolls, figurines and miniature collectables, mostly made from plastic and resin. It is the personal collection and labour of love of the museum's owner, Mr. Loh Lean Cheng, who has amassed more than 140,000 exhibits over a period of nearly 40 years. Mr. Loh has turned his hobby and passion into a nice little earner. He claims the museum attracts 100,000 visitors annually (and I have seen higher estimates). Multiply that number by the admission charges (see below) and you do the maths - a handsome income! On the day of my recent revisit however there were only a handful of customers. The museum moved to its current location in Teluk Bahang a few years back. It was previously housed in the former premises of a nightclub at the Copthorne Orchid Hotel. The new location is orderly and spacious and the exhibits are displayed on simple warehouse-style metal shelving. The perspex sheeting covering the shelves protects the exhibits from dust and light-fingered customers but it does make it difficult to take good photos without reflections. Having said all that, if you are a fan of movie memorabilia, you will forgive the flaws in presentation and simply drool over this enormous collection. Super Heroes & Comic Book Characters. Batman, Superman, Spiderman, Wolverine, Professor X. Classics. Mickey Mouse, Donald Duck, Bugs Bunny, Goofy, Jungle Book, Pinocchio, Barbie. Rock and Sporting Legends. Beatles, Kiss, Queen, Muhammad Ali, Smackdown. Movie Blockbusters. Planet of the Apes, Shrek, ET, Star Wars, Star Trek, Bugs Life, Monsters Inc, Kung Fu Panda, Toy Story, Lord of the Rings, Pirates of the Caribbean, Harry Potter, Teenage Mutant Ninja Turtles, Mr. Bean, Frankenstein, Chucky. Japanese. Pokémon, Doraemon, Sailor Moon. ...... and many, many more. 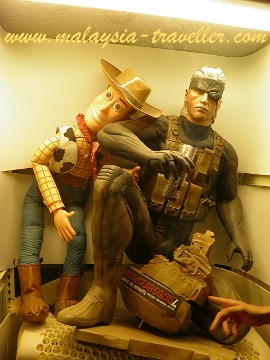 In addition to the scale models, the museum also has obtained some unique life-sized figurines of blockbuster movie characters (such as Lara Croft) directly from Hollywood. 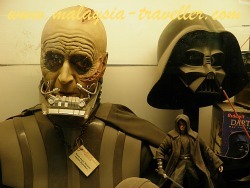 I am a fan of collectables and for that reason I have included the Toy Museum on my list of Top Penang Attractions. However if you are not really into static displays of models or are expecting a more conventional toy museum, you might well be disappointed by this place. Ticket price is expensive by Malaysian standards. Open daily from 9am to 6pm. 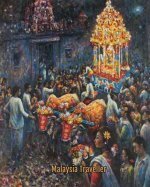 Malaysians with MyKad pay RM24 per adult and RM18 per child. 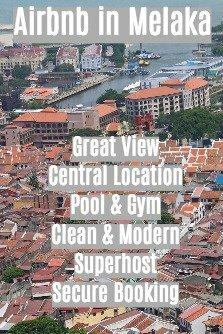 Foreigners pay RM39 adults and RM29 children.